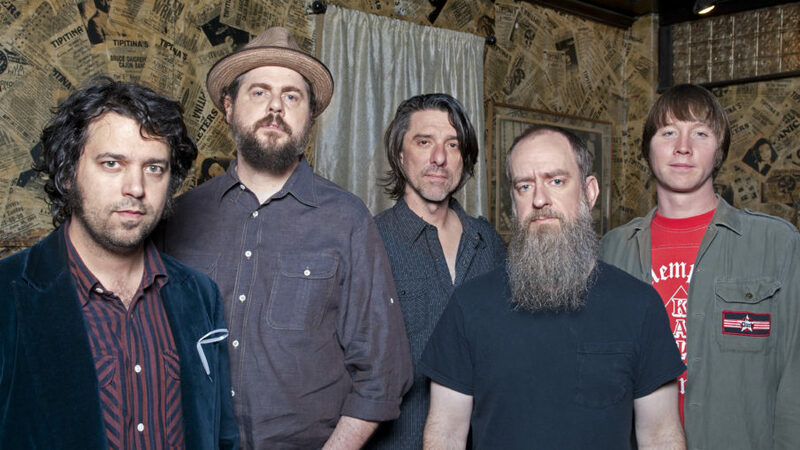 Words to Drive By: The Drive-By Truckers respond to a tumultuous year with personal bests, band firsts, and perhaps the best album of their career. There’s an old observation in creative circles that it’s easier to fashion art from pain than from contentment. 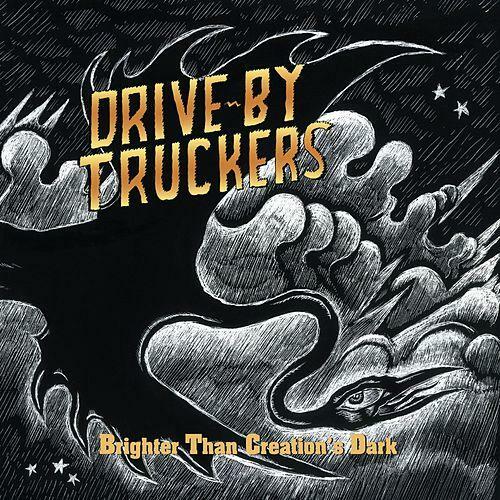 If that’s true, then it‘s hardly a surprise that the Drive-By Truckers’ new album, Brighter Than Creation’s Dark, is a work that stands with the band’s first acknowledged masterpiece, 2001’s Southern Rock Opera. The recent upheaval in the Truckers’ camp gave the band a masterpiece’s worth of inspiration. The divorce of guitarist Jason Isbell and bassist Shonna Tucker cemented Isbell’s decision to part ways with the band and launch his solo career, which in turn gave the Truckers the perfect opportunity to reassess what they would do next and how they could accomplish it. Among those decisions included bringing old guitarist/steel pedalist John Neff back into the fold and inviting legendary keyboardist Spooner Oldham to contribute to not only a fair portion of the new album but also to accompany the Truckers on their acclaimed The Dirt Underneath acoustic tour late last year. The fact that Creation’s Dark received its first official christening in an acoustic setting might have given some the impression that everything on the album was flavored that way, but that is clearly not the tone of the songs. In fact, Hood is the first to admit that the album may not have a tone. Hood insists that he and the Truckers didn’t actively set out to do anything specifically different with Brighter Than Creation’s Dark, it just turned out that way organically. The Truckers’ three week May 2007 tour turned out to be a kamikaze affair as far as the band’s new material was concerned. With a handful of songs already completed and heads full of works in progress, the Truckers hit the road with the intent of honing the new tunes into recordable shape before entering the studio the following month. The Truckers were just as fortunate when they took their newly minted tunes into the studio, just a couple of weeks after some of them had been tweaked and finalized. Amazingly, the Truckers utilized nearly every song they conceived on the road, ultimately deciding that only one of the tunes didn’t quite fit the album’s developing pattern. Unlike a good many of the Truckers’ efforts over the years, Brighter Than Creation’s Dark is not a concept album with a central theme and some sort of connecting narrative. Rather, it’s a collection of songs that hangs together as a whole, diverse in sonic construction but united under the Truckers’ unique banner. The fact that Hood has done so many themed albums with the Truckers and that he seems to perpetually be thinking about the band’s albums with a conceptualist’s mindset may be the very thing that successfully weaves together the disparate songs on Creation’s Dark. Certainly Oldham’s presence on the album had something to do with its rising soul profile, but perhaps just as influential was Hood’s production for and the Truckers’ backing duties on Bettye LaVette’s soul shaking new album, Scene of the Crime, around the time of the tour that spawned the songs on Creation’s Dark. Whatever the cause, the combination of Cooley’s unexpectedly prolific writing phase, Tucker’s first written contributions to the band, and Hood’s amped-up inspiration-by-association coalesced to make Creation’s Dark a smolderingly soulful example of the Drive-By Truckers at their absolute best.